Global financing for health is at a critical juncture. In recent years, the United Nations’ Sustainable Development Goals (SDGs) have sparked global momentum around universal health coverage (UHC), and advances in diagnostics, treatments, and digital tools have created opportunities for broader access to health services. This meeting will bring together international leaders to tackle the critical question of how to finance health for all to achieve the ambitious goals of UHC and the SDGs, and to rethink the future for the total funding of health, sharing solutions for reimagining donor aid, increasing domestic investment, and building sustainable healthcare financing systems. In recent decades, development assistance for health (DAH) and private investments have significantly improved health outcomes for millions of people in low- and middle-income countries. However, in recent years, DAH has begun to plateau and is increasingly threatened by cuts that could undermine essential and life-saving programmes. 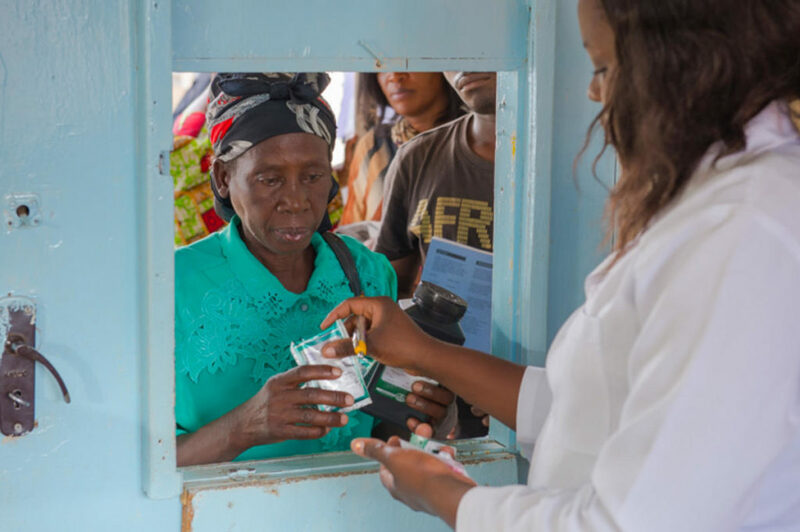 During 2019 and 2020, major global health institutions – the Global Fund to Fight HIV/AIDS, Tuberculosis and Malaria, Gavi, World Health Organization and Unitaid – will mobilise resources to maintain or increase their levels of investment. The outcomes of these replenishments and resource mobilisation campaigns will set the resource context for global health funding for the next three to five years. Looking beyond the replenishments, how can the political and financial support for DAH be ensured, to achieve both UHC and continued progress in specific fields such as immunisation, HIV and malaria? How might DAH be re-engineered or re-aligned to maintain progress and meet global health goals? In low- and middle-income countries, there are two major challenges. Firstly, annual domestic health spending per capita is very low; for low-income countries, total health spending, including DAH and domestic, currently averages about US$110/capita/year. Secondly, a significant proportion of total health expenditure is out-of-pocket spending (OOPS). WHO recommends that OOPS not exceed 20% of total health expenditure (achieved in most high-income countries). However, this proportion averages around 40% in LMICs and accounts for as much as 80% of health expenditure in some countries. OOPS is the enemy of financial protection, and high OOPS causes widespread medical impoverishment. Rapid development of stable and sustainable health financing systems would bring down out-of-pocket spending, increase local resources for health, and propel progress on UHC. How can low- and middle-income governments build strong health financing systems? How can traditional financing mechanisms evolve to meet the diverse needs of middle-income countries transitioning away from DAH and of low-income countries that still rely on DAH? How can OOPS be swept into prepaid and risk-pooled social health insurance programmes? Identify opportunities for collaboration and coordination between participants and their organisations. Details will be released closer to the event date.